This month, being July is obviously the best time to review what we all need a lot of right now – sunscreen and organic skin care products for the sun. 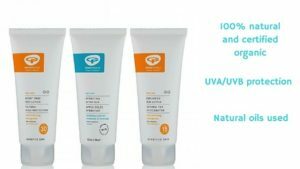 We love being in the sun and we love this fantastic Green People sun cream range. 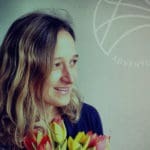 Founded in 1997 because, as a mother, the founder, Charlotte, realised that there were no organic products out there and that time in history was predominantly a chemical-heavy trend. Charlotte needed organic products for her daughter’s sensitive skin. Soon after that, she approached the soil association as she realised there were also no standards for organic skin care so she decided to take the bull by the horns and sort it out herself. 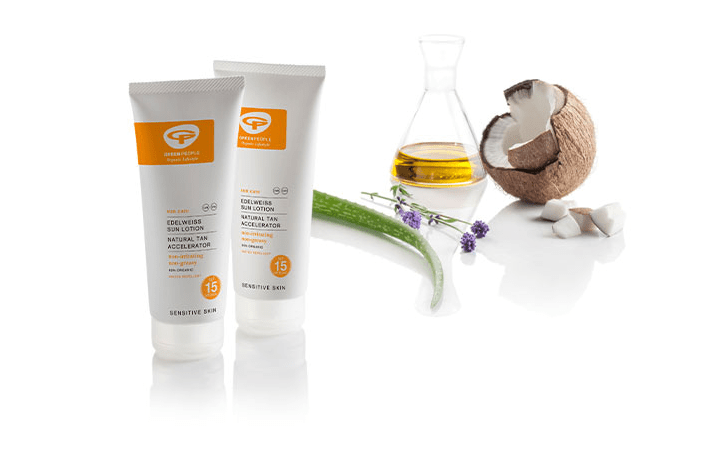 Certified organic skin care and the standards were created in 1999 from her initiative. 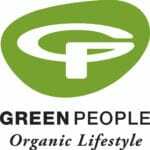 I have been a regular advocate of the this Green People sun cream for a number of years and gradually converted my friends to using it. For starters, it is smooth and easy to apply, absorbing quickly and not staying on the surface thick and white and very uncool, as the old school organic products may have been like (a long time ago now!) Made with Carob, to speed up the tanning process and reduce tan fading by 50% this sounds good to me. With Aloe vera, green tea, marshmallow and avocado to soothe and minimise peeling I feel like I’m doing good things to my body when I use it. Factor 30 Green people sun cream is for when I haven’t been good to my body and I have spent too much time in the sun…and I need a higher factor. Being of olive skin, the words factor 30 very rarely pass my lips! This is fantastic for people with very sensitive skin, and prone to eczema and prickly heat. Made with chamomile, aloe vera, myrrh and rosemary it soothes and nourishes the skin. It’s easy to apply and has no scent for the sensitive skin. For the end of the day, after the shower, try their hydrating After Sun Lotion. It is a lovely pleasant surprise as you go to apply the lotion. It smells deliciously of mint, feeling cool as you rub it into the sun-kissed areas. Made with chamomile, calendula, apricot kernel oil, rosemary, mint and lavender oil, it makes the sun going down fun. I like applying a layer and letting the skin absorb in its own time, super cooling and extra moisturising. Follow the links above for Green People sunscreen and after sun. You can get 100ml of factor 15 and 30 plus 200ml of the aftersun for £37.50. Green People Sun Cream Competition Time! Competition time! Join our newsletter to be in with a chance to WIN 1 of 5 of these sun cream and after sun sets – worth £37.50! This competition has now finished. Keep and eye on our newsletter, blog and social media to find out about new competitions first!